A tender story of hope and regeneration. Pandora lives alone, in a world of broken things. No one ever comes to visit, so she spends her time gathering and mending what she can. 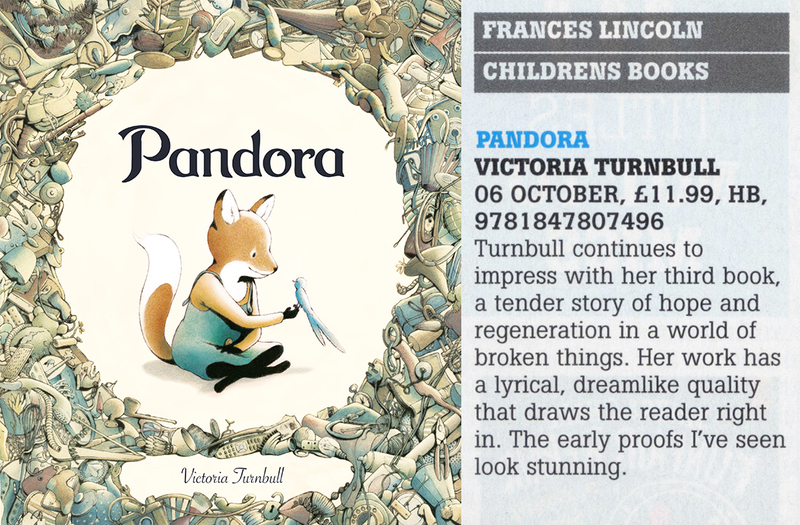 But when a bird falls from the sky, slowly her world begins to change… A modern-day story of hope and regeneration from award-winning author Victoria Turnbull.